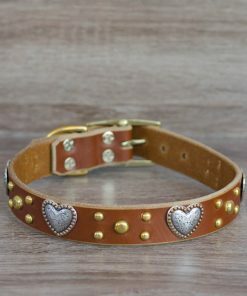 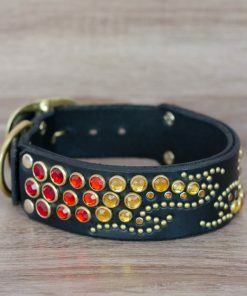 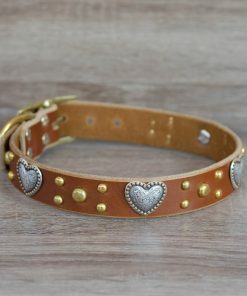 What better expression of love for your pet than a collar bedecked with hearts? 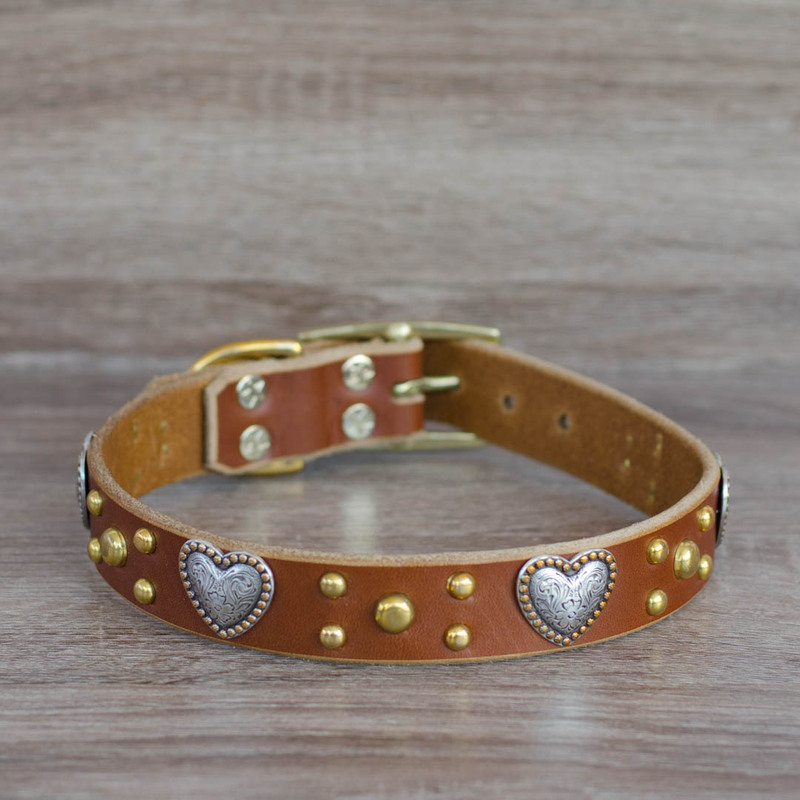 3/4″-wide silver heart conchos with brass starburst accents are set on a 1″-wide leather collar. 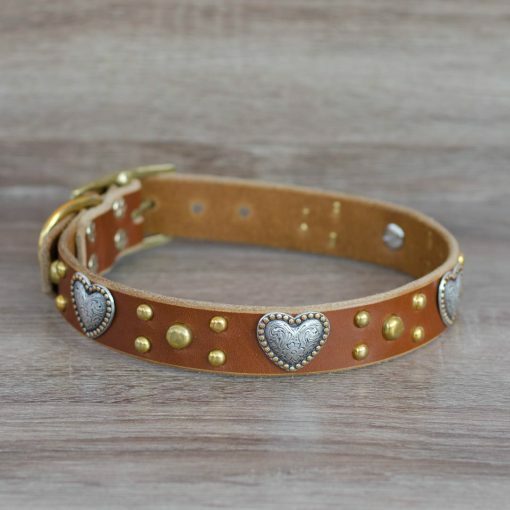 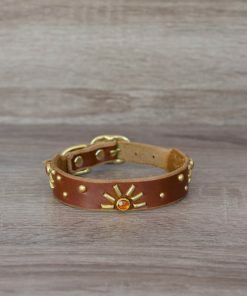 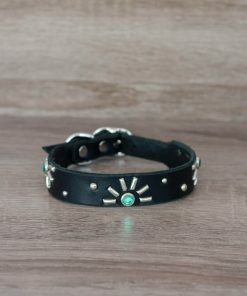 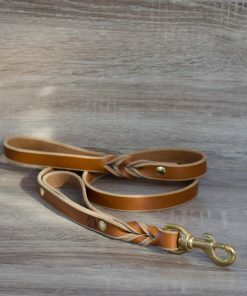 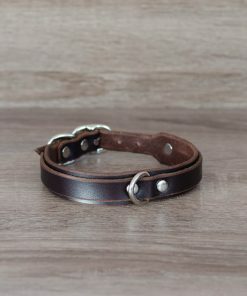 The Morgan Heart is stylish enough to give your dog a Victorian flair, but this sturdy collar will hold up to roughhousing at the dog park.